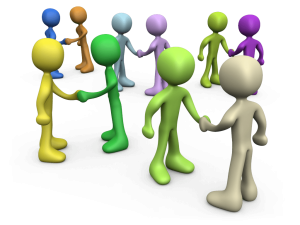 Now, certainly these meetings bring value to the project and, if properly exploited, can also provide benefits to both the base organisation and the individuals involved; they allow for additional side meetings that otherwise would not happen, they allow for some social interaction and, they allow the visitors to develop more of an understanding of the environment and culture of the hosting office. All of these opportunities can help the project and the organisation work better together on current and future endeavors. Yet for all of these benefits, many project organisations either put little merit to such meetings or, in some instances, actively or passively discourage them. I have seen situations on projects where either the project delivery organisation, client, or both put restrictions on travel of members of their project organisations. In this they genuinely, though often naively believe they are containing project costs in doing so, but instead they are restricting the project’s ability to operate. Left too long like this and the project will reach the point where it starts to suffer from lack of coordination, communications breakdowns and failures of trust between groups, all of which frequently result in costs to the project far in excess to the monies “saved” through restricting travel. I am not advocating frivolous project travel budgets, nor am I suggesting that team members should travel for any and all meetings, far from it; the tools now available to support virtual working are perfectly adequate for the great majority of regular communications, however, allowing, or even encouraging reasonable levels of travel in a project to allow the team members to meet is an investment in the success of the project and should definitely be endorsed wherever benefits can be identified, so long as the travel is balanced. Do you have any experiences with the value of face to face meetings you would like to share? If so, we would love to hear from you.